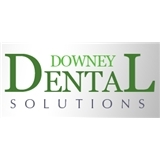 Downey Dental Solutions (Downey) - Book Appointment Online! Thanks for visiting Downey Dental Solutions, where we can take care of all your dental needs! Centrally located in Downey, California, our team of doctors are highly experienced to provide you and your family with the most advanced and comprehensive dental care the area has to offer. Quality Dental Care for the Entire Family Dr. Sam Valiani delivers a wide range of dental services all under one roof, including: • Routine dental exams and cleanings • Veneers • Crowns and bridges • Root canal (endodontics) • Gum therapy (periodontics) • Sedation Dentistry With our on-site periodontist, endodontist and prosthodontist/implantologist, you won’t need to go elsewhere to achieve the beautiful, healthy smile you desire! Superior Customer Service In addition, to the full menu of services and treatments we provide, you can be confident that you will receive the personalized and professional care you expect and deserve. We believe building a foundation of trust by treating our patients as special, unique individuals is vital to our success. I think the world of Dr. Valiani and his entire staff. I am so comfortable they almost seem like family. Dr. Valiani is the best dentist you can possibly have do your work and a super nice guy as well, you will love him.